Fly Fishing Tips: Welcome to our article on Fly Fishing Tips for Beginners. If you are new to fly fishing, this guide can help you get started. If you have some experience with fly fishing, then you will find some advanced tricks to sharpen your skill. We hope this guide can help you learn How to Fly Fish Like A Pro. What do you need to fly fish? How to use a fly? We hope the Fly Fishing Tips & Tricks shared in this guide will help you learn How to Fly Fish Like A Pro. Fly fishing is an amazing sport that you will love once you get into it. Apart from the fish you are after, this sport exposes you to the serenity and peace of nature. It also challenges your brain to outsmart the fish. Fly fishing is an angling method whereby anglers catch fish using an artificial fly. The fly is cast using a fly rod, reel, and specialized weighted lines. 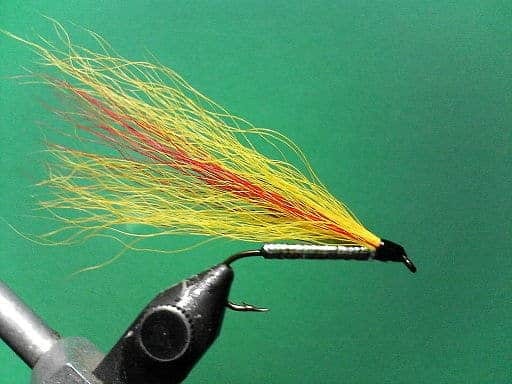 The fly should resemble the natural vertebrates, fish or crustaceans as close as possible in size, form, and movement to effectively lure the fish to bite the fly. 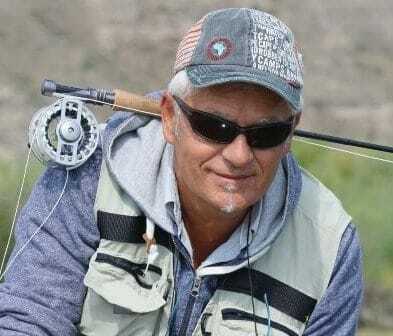 The whole idea of fly fishing may seem overwhelming for a beginner as it is a bit different from conventional fishing. Most beginners are familiar with casting a heavier lure with the fishing rod followed by the line. But fly fishing is different. You will first cast the heavier line, then the fly comes after it. Read on to understand more of this. Let me explain three different variations of fly fishing. The first is dry fly fishing. The angler casts a buoyant fly that resembles aquatic insects. The dry fly is made to naturally float with the current. The striking fish will easily be noticed because of the visibility of the floating fly. The second variation is wet fly fishing. This method involves the use of a fly that sinks. You may also add a little weight to the fly to cause it to sink. The fly is then made to drift at a pace equal to that of the subsurface currents. For streamer fly fishing, the fly used resembles a bait fish. The angler swings the fly across the currents as he waits for the target fish to strike. The retrieval pace should be rapid to evoke the predatory instincts of the target fish. Without a second thought, the fish strikes the bait and it’s on! Streamers are used to imitate juvenile game fish and minnows. Big fish really love streamer patterns. There are four basic pieces of fly fishing equipment you must have before you get out there to fish. These are the fly rod, the fly reel, the fishing line, and baits. The fly rod and fly reel are the first items to consider. These two dictate the kind of fly fishing accessories you will purchase. They should be matching in terms of weight and length in order to perform properly. If you are a beginner, you may prefer to buy a fly fishing combo. Buying a fly fishing rod and reel combo ensure that you get great value for your money. For fly fishing, the line acts as the weight. The fly attached to the end of the line is normally of negligible weight. Choose a line of decent quality, thickness, and weight to enable you to make a long cast. Fly backing is a thin line at the beginning of the spool used when big fish are able to strip out all the weighted fly line. Both the fly line and fly backing are brightly colored to make them easily visible on the water. The leader acts as a transition from the thick fly line to the thin tippet. Its main function is to prevent the heavier fly line from slapping onto the water as this scares the fish. The leader measures about 10 feet. The tippet is the nearly invisible line that attaches the fly to the leader. The reason behind this is to present the fly to the fish without the line being seen. It should be strong enough to withstand the weight of the fish. The most popular is the dry flies. These resemble flying insects that land and float on the water. The second one is the nymphs. These are designed to look like aquatic creatures, often larvae, which float at or just below the surface. The third type, streamers, also resemble aquatic creatures but are larger than nymphs. You can buy fishing baits and flies conveniently from local fishing shops. The sellers will always tell you what works best in that area, depending on the target fish. Flies come with either barbed or barbless hooks. I recommend using barbless hooks because the barbed hooks cause the fish unnecessary pain. Some fly fishing accessories that you may find useful include polarized sunglasses (to remove the glare common on the surface of the water on a sunny day), a lucky hat, line snippers, forceps for handling flies, and spools of different diameter. Another important accessory is the fly-fishing landing net. This helps you grab the fish and protects it. You may also want to invest in a fly fishing sling pack for holding your gear, so you can comfortably move around your fishing spot. Consider purchasing fishing waders so that you can get into deeper water where you can catch even more fish. Let me now get into the details of how to use a fly. The first step is to attach the reel to your rod. Remember to follow the specific manufacturer’s instructions. The bottom line is that the reel should slide onto the rod and lock in place. Now get your fly backing and pull off some 100 feet or less, depending on your spool size and reel weight. The backing and the line should fill the arbor. The next step is to pull off about 3 feet of the fly line, and then tie the fly line to the fly backing using an Albright knot. Extend the line to some 100 feet and clip it. After that, tie the backing to the arbor using an arbor knot. Remember to keep the line taut as you spool the backing around the reel. The end of the fly line should have a loop. Do this using the braid knot. The leader will be attached to the fly line using this loop. You will then find it easy to change leaders as you are busy fishing. Use a surgeon’s knot to attach the tippet to the leader. The fly is finally attached to the tippet using an improved clinch knot. This completes your setup. Once done you will not have to replace the fly line and backing often. The only piece you may have to change is the leader, which depends on the type of fly you are using. You are now ready to cast the fly fishing rod and make your first catch. First, let out about three-rod lengths of your line. Firmly grip the handle of the rod with your hand above the reel. Your thumb should go on top while the rest of the fingers wrap around the rod. Bend your elbow and bring the rod back to the 10 o’clock position. Make the motion swift and steady. Bring it to a stop just before the line completely straightens out. Now move the rod forward again and let it land on the water surface. I usually repeat this 3-5 times to get more distance. It’s as easy as that. Do not apply too much force as this may detach the fly from the snippet. While on the surface of the water, move the fly slowly with a pace equal to water current. Your aim here is to mimic the natural vertebrates as close as possible. You will now have to wait until a fish strikes. When you think you have a bite, jerk the rod in a quick and steady motion to secure the hook into the mouth of the fish. You can now start reeling the fly line in. One thing to remember is that the fish are smart. Catching them may at times not be so straightforward. It is very normal to lose a couple of fish before you make the first catch. Continue practicing until you become familiar with the fly fishing casting techniques. It is common knowledge that not all spots on the lake or sea are good for fishing. But how do you find the perfect spot? I will suggest you start by asking the local fishing shop for the best fly fishing spots. Also consider joining local clubs and Facebook groups who have a wealth of information on fly fishing, including the best spots. With time, you will develop personal preferences regarding the fishing spots. You might prefer an area close to your home or one you can easily access after work. The area should also be open enough so that you do not have to worry about your line getting caught up in bushes and trees. The scenery should also meet your desires, especially if you’re there to wind down. You should also note which areas fish are likely to be found. The first feature to consider is boulders. Fish hang around boulders as a measure of protection against predators. This is also the case with fallen or submerged trees. They provide a good hiding place for fish. The currents created across submerged trees are also attractive to fish. If you are fly fishing in a river, look for sections of the bank where the water is deep enough to harbor fish. Undercut banks also provide prolific spots for fly fishing. As enjoyable as the sport may be, remember not to compromise your safety around water. Note that most fly rods are excellent conductors of electricity. This makes them attractors for lightning strikes. If you sense a storm brewing, immediately pack up and wait for another favorable time or day. You should also be extra cautious when wading. Moving water is very powerful and there is always a risk of being swept away. Wear a snug belt to prevent your fishing waders from filling up with water. It is good practice to wade with your feet as close to the bottom as possible. While going out fishing, always keep your loved ones informed of your whereabouts just as a precaution. Always wear your inflatable life vest for fishing. Don’t forget to carry a suitable rain jacket or a rain suit if going fly fishing on a rainy day. Another option is to bring along a close friend you like hanging out with. It is great fun fly fishing with friends. You can freely share your woes and experiences in the process of mastering the skill. Giving yourself enough time for fly fishing will also do you good. Don’t try and rush into catching fish. This may ruin the whole sport and you will end up frustrated instead of deriving pleasure from it. Some beginners tend to go for the cheapest fly fishing equipment on the market because of budget constraints. I am certainly not for this. I urge you to get quality equipment that will serve you for a long time. Breaking your fly rod on the very first day of fishing will disappoint you, to the extent you may feel like quitting. Therefore, invest in quality equipment and accessories. It is my hope you enjoyed reading this Fly Fishing Tips & Techniques guide for beginners. You can use these most of these fly fishing tips & tricks to get started with fly fishing. Fly fishing is a bit different than other conventional fishing methods like surf fishing. You must learn the feeding habits of the target fish, so you fish the best spots where they are likely to be found. Subscribe and get instant free access to my eBook where I share my 101 Fly Fishing Tips & Tricks! CocodrieFlyFishing.com is a participant in the Amazon Services LLC Associates Program, an affiliate advertising program designed to provide a means for us to earn fees by linking to Amazon.com and affiliated sites. My name is Kevin Sanders and I am the person behind this website. I have been an avid fly fisherman for the past 16 years and started this website to share my fly fishing tips and tricks with beginners.